Jennifer Tavernier had some words of wisdom for Dan Shanoff's kids. 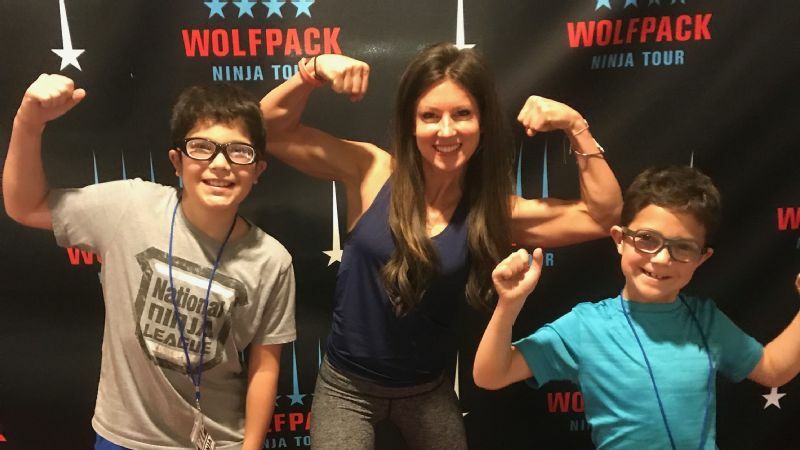 For this year's "Camp Dad" (and right in line with so many kids' obsession with all things ninja warrior), I took my kids (10-year-old Gabe and 8-year-old Jonah) to the inaugural Wolfpack Ninja Tour event, held last weekend in Denver. DENVER -- Here's the spoiler: "Everybody fails." As-seen-on-TV pro ninja warrior Jennifer Tavernier was talking my anxious kids off the ledge, metaphorically -- and soon-to-be literally. Tavernier was hanging out on her own a couple of minutes before her scheduled Wolfpack Ninja Tour autograph session with fans was going to start, and the kids approached her, notebooks and Sharpies in hand, hoping for a signature to add to their ninja collection from the weekend. She enthusiastically obliged, and as she asked them their names and where they were from, I mentioned that they were imminently running the "official" course, were pretty nervous about not completing it and did she have any advice, all of which rolled up into the kids having yet another mortified "Daaad!" moment. She leaned in and looked around conspiratorially, like she was letting them in on an ancient ninja-warrior secret: "Everybody fails." What she meant is that success was in the process, not the outcome -- that the trying was more essential than the completion. That failure, in and of itself, was a feature, not a bug. "Everybody fails" is as succinct of a way anyone could crystallize the appeal of "ninja warrior" and why nearly a thousand adults and kids spent their weekend leaping, gripping, climbing, balancing and whooping their way around dozens of obstacles laid out on the arena floor at the University of Denver, from the most famous ninja warriors in the world to my two wannabe ninjas. "Every one of you has the chance to be a ninja!" That's the booming PA system to the attendees, relaying the core message from Noah Kaufman, M.D. Kaufman is one of the founders of the "Wolfpack," a group of leading ninja warriors whose names your kids will know in the same way you might be able to recite the lineups from NFL or baseball teams from the 1980s. Kaufman founded the Wolfpack to help grow the sport, which itself was built on the popularity of the "American Ninja Warrior" TV show. Kaufman is genuinely focused on kids' physical fitness (the event's philanthropic beneficiary was Children's Hospital Colorado), and he clearly recognizes the tween enthusiasm for all things ninja warrior as a path to do something about it. There is this traveling event series. There is a kids' club. 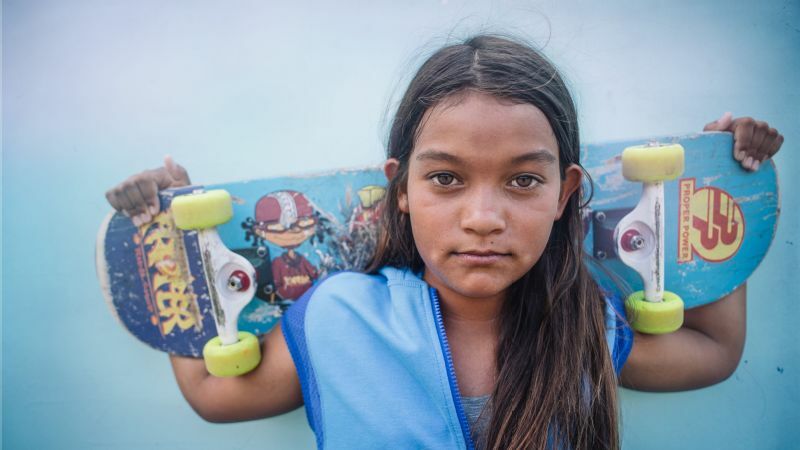 And there are a series of "Wolfpack Ninja Tenets for Success," -- like, "I always try to do the right thing" or, "I treat my body as a gift" -- which seem pretty applicable to any kid, not just the ninja-obsessed. If you're a parent looking for a good sports influence on your kids, you could do a lot worse than the ninja warriors. And the frenzy of kid-ninjaing at the arena backed that up: Of the crowd in attendance, it basically broke down into competitive ninjas, either "pro" (on TV) or amateur (would love to be on TV), and many, many kids (along with their parents, who as a group were the least overbearing sports parents I have ever observed). Trying out "real" ninja obstacles was a huge feature of the weekend, but the biggest draw for the kids seemed to be the opportunity to meet famous pro ninja warrior athletes up close. If your kid watches ninja warrior shows, they would rattle them off by sight like mine did: Geoff Britten! Jessie Graff! Joe Moravsky! Meagan Martin! Flip Rodriguez! To a person, the ninja celebrities embraced it: No autograph request was turned down. No photo with a kid was dismissed. This was so important, because it is totally aligned with the unique ethos of the sport around accessibility, not "elite" anything: Anyone can turn anything in their environment into something to play on. There is no one "right" way to overcome an obstacle. Embrace your flaws. Embrace your fellow ninjas. To have the superstars of the sport -- all of them -- ready to get down on their knees to meet kids eye-to-eye, have a conversation, ask a name, take a photo ... it is the personification of accessibility. And it makes the kids that much more enamored with the sport. 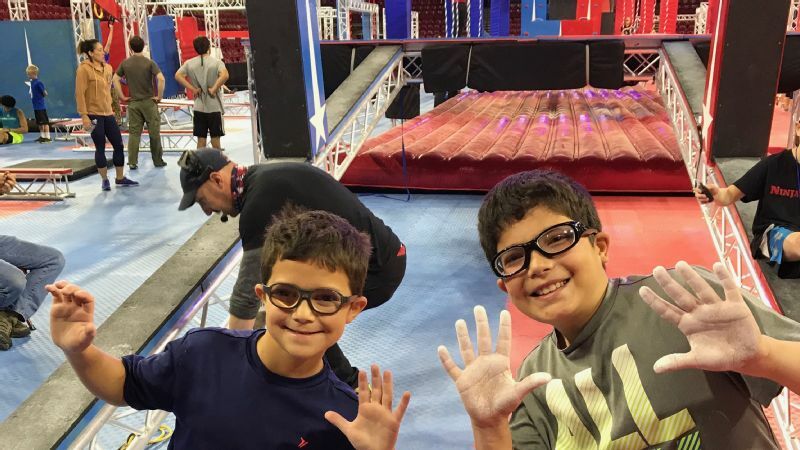 Shanoff's kids show their chalked-up hands on the course at the inaugural Wolfpack Ninja Tour event in Denver. When it finally came time for my kids to run the official course, they lined up in opposing lanes, dreaming of the ultimate ninja success: "Hitting the buzzer" at the end, triggering a blaring foghorn of success that is straight out of an NHL arena. The traditional countdown tone sounded: "Beep ... Beep ... Beep ... BEEEP!" Up an incline, around a 5-foot block placed in the middle of it. Done! Then onto a 20-foot slack line, crossed by clinging to thin hanging ropes. Cleared! Then the third obstacle: Five rubber globes at varying distances and angles, to be traversed by leaping from globe to globe. His second step went out of bounds, and the course monitor delivered the verdict to the judges' table: Thumbs down. Then: The dreaded air-horn sound indicating a ninja's failure. Both kids were bummed -- they expected to go further, which is great! And their disappointment is hardly a bad thing. "Remember what Jennifer Tavernier said: 'Everybody fails,'" I said, slightly more helpfully. Gabe earned a huge abrasion on his arm, which he now sports like the best kind of trip souvenir. The key thing is that they had overcome their anxiety and tried. He was clearly disappointed ... but he came to the finals to cheer on his fellow competitors and, frankly, set an amazing example. But this was my favorite example of a Wolfpack Ninja Tenet for Success in action: When a pair of other kids were ready to skip their turn running the course, my two kids enthusiastically talked them through their fear and helped energize them to compete. I didn't say a word -- it was all the kids. Of so many memorable moments during the weekend, that was possibly the best. For the weekend's final event featuring pros running the course head-to-head, we had amazing seats in the front row, halfway down the course. An hour into it, Jonah taps me on the shoulder and motions behind me, gobsmacked into silence. It's Daniel Gil, a rookie sensation in 2015 and the second-highest finisher on "American Ninja Warrior" in 2016. He is a top-end ninja warrior superstar, and he is just sitting there behind us, watching the competition. The kids politely introduced themselves (yes! ), and we found out he finished about a tenth of a second from qualifying for the finals here in Denver -- he was clearly disappointed and definitely didn't have to be there if he didn't want to be, but he came to the finals to cheer on his fellow competitors and, frankly, set an amazing example for the fans who came to meet him that even the sport's biggest stars are fans, too. Watching other ninjas run the course couldn't have been easy for him, but every time my kids turned around shouting about some other ninja's move, he was smiling and clapping along. Seeing the celebrity ninjas and trying the "official" course for themselves were my kids' highlights, but the highlight for me -- the reason I put my time and money into the weekend -- was the larger experience I knew the kids would get out of it: a social obstacle course of building empathy, navigating unfamiliar interactions, overcoming intimidating interpersonal situations, bonding with each other as siblings and with the rest of the kids as fellow ninja obsessives. Some stumbled through the course and finished with a slower time than they should have. Some fell off obstacles completely -- just like so many of the kids who tried the official course over the weekend, including my kids. The pros' failure didn't go unnoticed by the kids, and I can only hope it was internalized. It wasn't all healthy habits -- we ate too much bacon for breakfast, we spent one afternoon transfixed by screen time at the world's greatest retro arcade (hat-tip: Hyperspace), we gorged ourselves on burgers at the famous Cherry Cricket. There was a freak snowstorm on Friday night, and still on East Coast time the next morning, the kids raced to the hotel's outdoor heated pool at 6 a.m. to splash in the snowfall before two days of obstacles. Back home, I might have gotten anxious about their choices and about the various body-flinging risk-taking -- I still might, because ... well ... "everybody fails." It's not just kids who can learn to overcome obstacles. 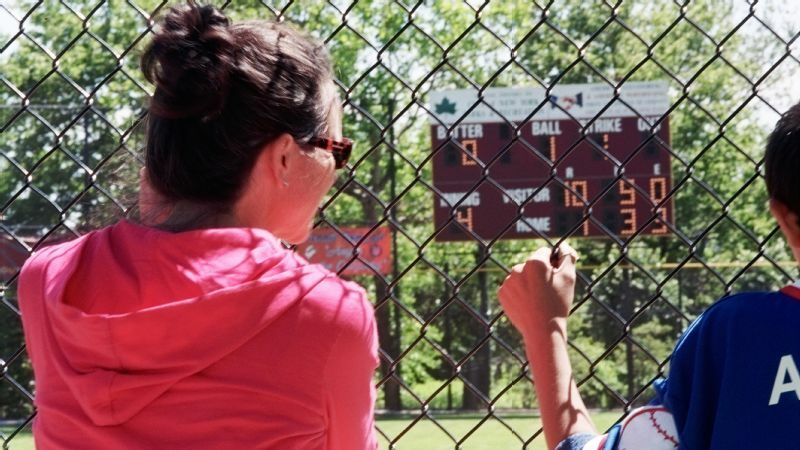 Dan Shanoff writes about sports and parenting for espnW. 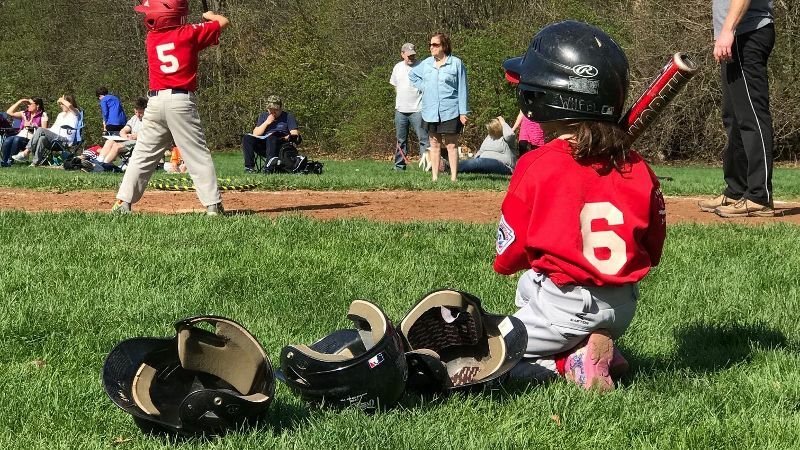 You can connect with him on Twitter at @danshanoff and follow along with his sports-parenting adventures on Instagram at @danshanoff.